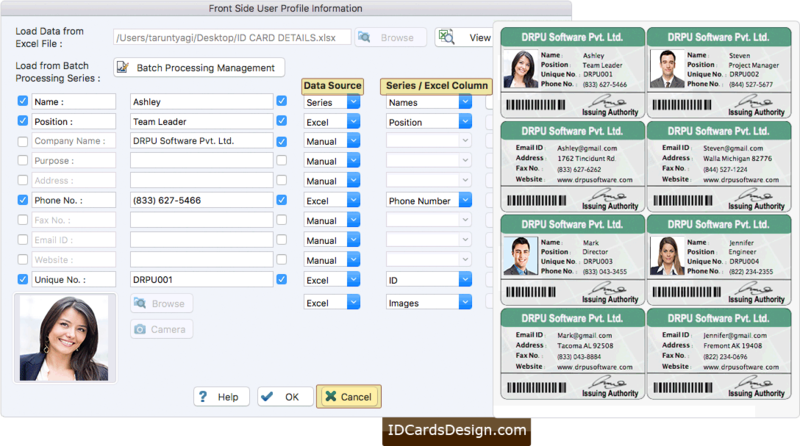 Software provides three modules to create ID Cards. 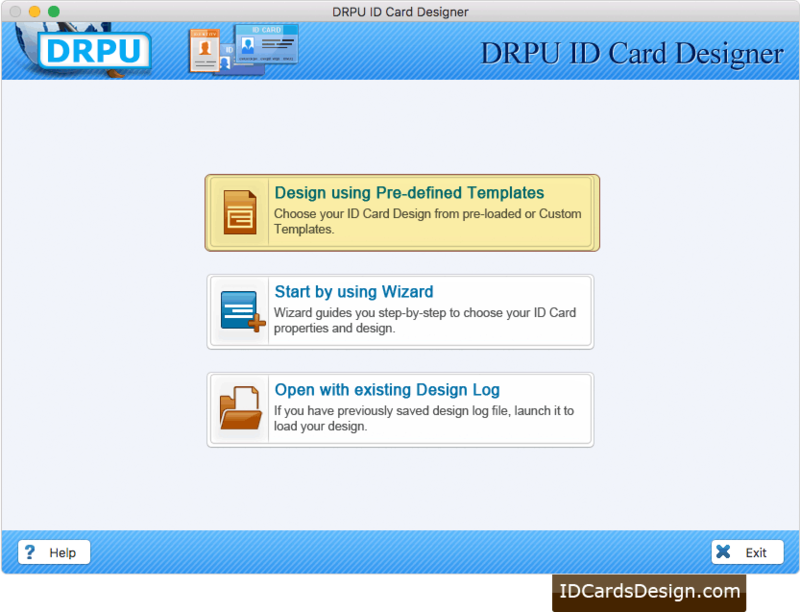 Select any one as we have selected Design using Pre-defined Templates mode. Fill user profile information manually or using Batch Processing series. 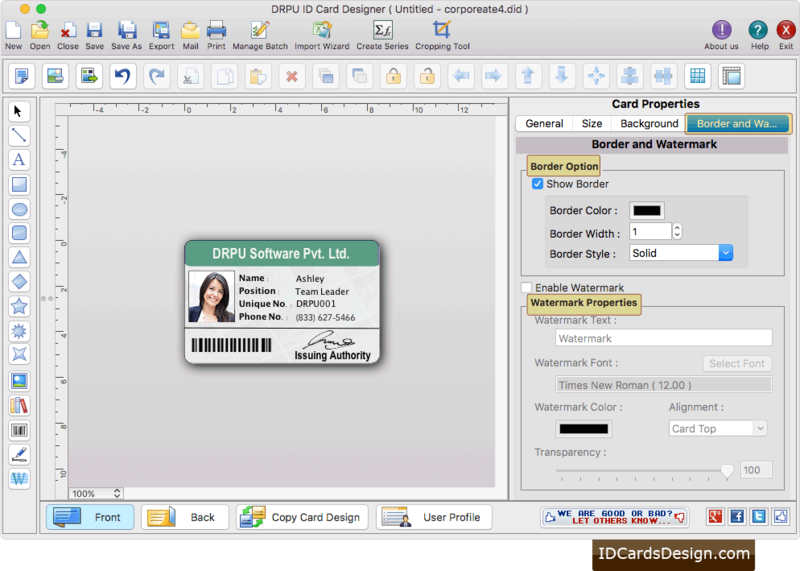 You can make further modification in your ID Card using Card Properties. 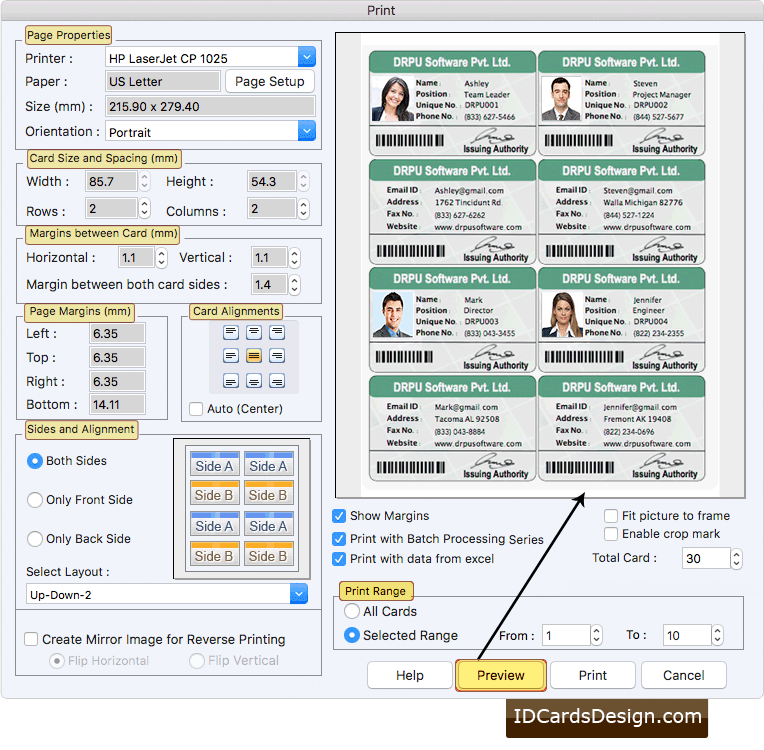 To print designed ID card , set all print settings option and click on print button. You can also see the preview of your designed ID card.